Hip replacement surgery in India and around the world is conducted on patients suffering from terrible hip pain. During this surgery, the hip joint is replaced by a prosthetic implant that may last between 10 to 25 years. 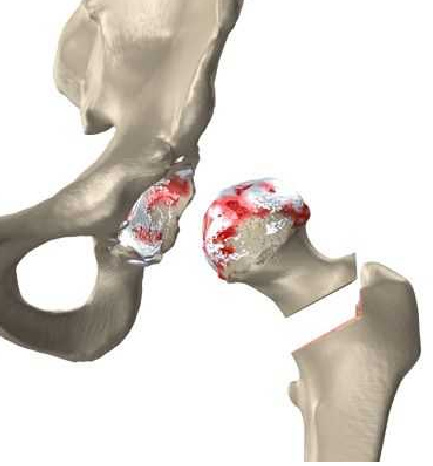 Patients suffering from osteoarthritis of the hip, aseptic bone necrosis, rheumatoid arthritis or fracture of the hip bone complain of severe hip pain. Sometimes, these conditions improve by itself over a period of time. However, in severe cases, rehabilitation and medication may not work well and a hip replacement may be required. India offers the same level of medical care, facilities, and quality in less than two-third the cost of what it costs in developed countries such as the United States and the United Kingdom. In the United States, a total hip replacement would cost around $45,000, while in India the same surgical procedure costs only $6,800. Patients with the above-mentioned conditions and indications are advised to undergo the surgery. However, not all patients are suitable for this procedure. Before advising the procedure, doctors make a thorough assessment of the patient. The patients are required to tell everything about their medical history and any conditions that they are suffering from. Recovery after surgery may take a long time. However, the benefits associated with the procedure are many. Hip replacement is considered to be one of the most effective methods to relieve pain associated with osteoarthritis of the hip. Each year, millions of patients undergo this procedure and make a new beginning in their life. 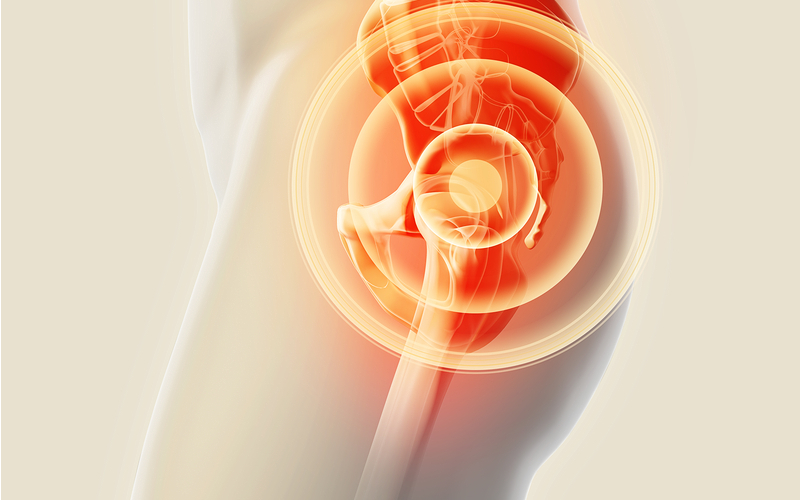 Hip replacement may result in some discomfort that may persist for a few weeks or even months. However, slowly the hip pain gets drastically reduced or gets eliminated altogether. It helps patients regain mobility and in turn, improve their quality of life. It is a reliable procedure that with the consistent outcome and low rate of failure. Just like any other form of surgery, hip replacement has a few risks associated with it as well. These risks and complications that may appear after the procedure are informed to the patients by the doctor before the surgery. If not, then a patient should ask the doctor about the risks associated with the procedure. Typically, patients are required to stay in the hospital for three to five days. Pain may be there after the surgery, which is managed with the help of medications. However, it goes away with time. It takes around three to five months for patients to fully recover from the surgery. Hip replacement surgery in India is opted by thousands of patients from around the world each year. The two major reasons why patients choose to get operated in India include less cost of medical treatment for the same level of care and no waiting time. The surgery is conducted in different ways, depending upon the need of the patient and the assessment made by the doctor. 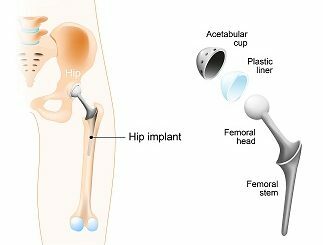 Total hip replacement: This procedure is preferred for people suffering from rheumatoid arthritis, osteoarthritis, dislocation, congenital deformity and fractures. In the absence of any complications, this procedure helps alleviate pain in the first four months after the surgery. 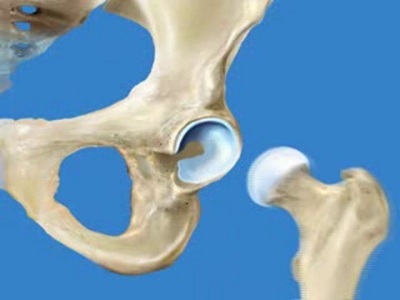 Partial hip replacement: In this type of surgery, the entire hip joint is not removed. The hip socket is left as is during the procedure, which is conducted in the case of patients whose head of the femur is either broken, damaged or destroyed. Hip resurfacing: Also known as arthroplasty, hip resurfacing is an alternate procedure for total hip replacement. In this procedure, the worn hip joint is not replaced but relined. Double hip replacement: This surgery is recommended for people suffering from osteoarthritis. 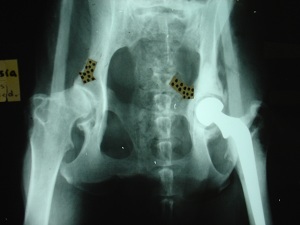 The two worn out or damaged hip joints are replaced with the prosthesis. The replaced parts include the femoral head (the ball) and the hip socket. Revision hip replacement surgery: This procedure is either conducted as a corrective procedure or to replace the worn out prosthesis.